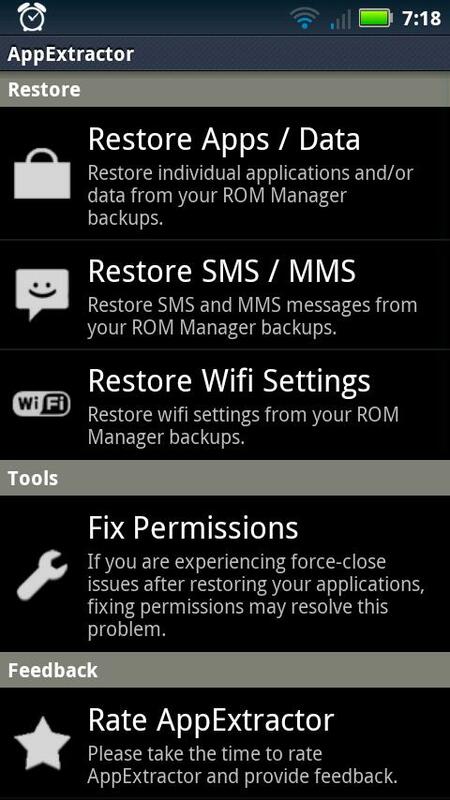 I have to back up my ROMs constantly since I always like to flash the newest stuff out there. 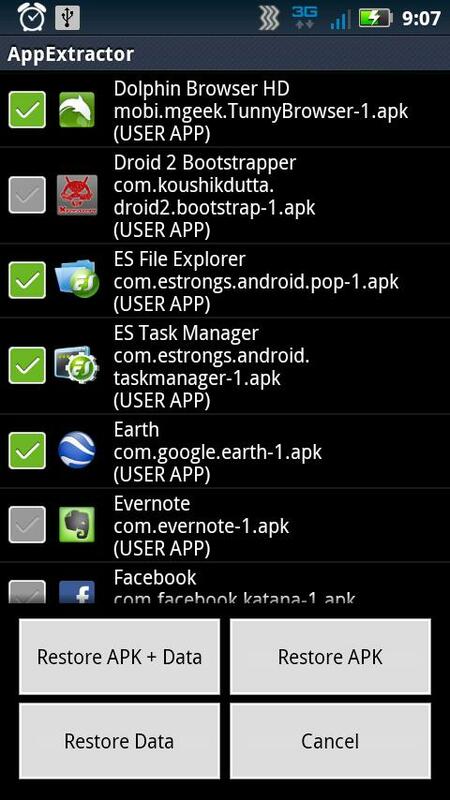 For example – when flashing this Ice Cream Sandwich port, I had to wipe everything. So I backed up all my info and flashed the ROM. Come to find out I have a very important text message from a certain person in my inbox which I must retrieve. Well, it’s a real pain to flash back to my old ROM, then redo all my work. There must be a way to get those texts! Thanks to AppExtractor this task is now a possibility. 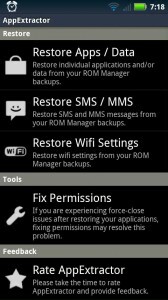 Now you can reload selected applications, SMS/MMS messages, Wi-Fi settings and a good list of other essentials you might want to take from your previous flashings. Isn’t this great? 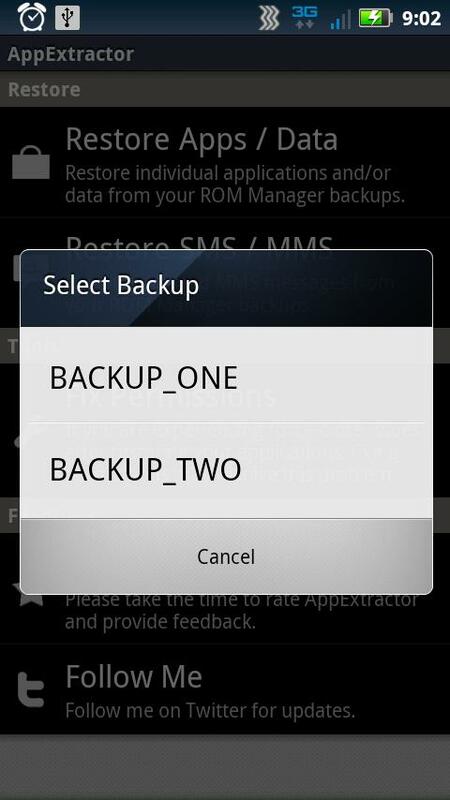 The app itself is free in the Market, but there is also a key which can be purchased for $1.99, which allows you to restore more than 5 applications from previous backups at a time. Awesome application? Yes. A new Android device essential? Yes. Go grab it. Rooted users only need apply.